Aluclad and Timber Tilt and Slide Patio Doors are best for locations as balconies, terraces and other places where there is not enough room for traditional outward or inward opening solutions, or where is a need for large glazed areas. The product is based on same profile system as the DK inward opening wooden window (therefore it does not have conventional threshold; see illustrations below). In addition to traditional sideways slide opening it tilts at the top for ventilation. ROTO hinges system enables to manufacture up to 130 kg openable sash. 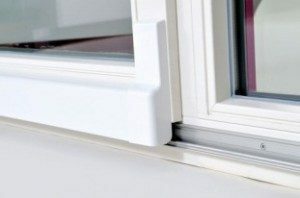 Profiles and technical properties are similar to inward opening tilt-and-turn windows. Tilt and slide door is available both as wooden and aluminium clad door. Traditional double glazing (Ug = 1,1 W/m2K) or energy efficient triple glazing (Ug = 0,6 W/m2K) can be used.